Above: On the corner of Butcher Row with Spicerstoke in the background. 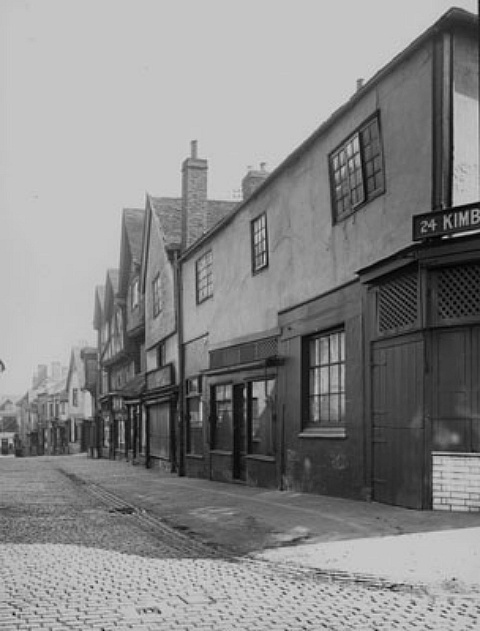 Above: the shop with Butcher Row at the left and Spicerstoke at the right. Above: Kimberley’s corner shop seen at the left from Spicerstoke with Holy Trinity Church ahead. Above: the white building is Kimberley’s shop seen from the other direction. With the church at the right and the entrance to Trinity Lane between the fence and the striped wall.